The reflective first release from Savages' bass player Ayse Hassan's side project Kite Base surfaced this afternoon. Collaborating with fellow bassist Kendra Frost; Kite Base comprises of two basses, vocals and industrial streaked beats that marry pop sensibiliities with organic noise. 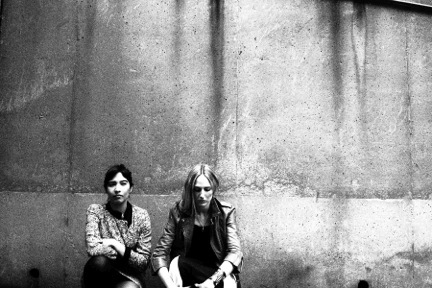 Their first release Dadum is a foot-tapping, churny number with vocals that float right over the top, a little reminscent of Echobelly's Sonya Madan.